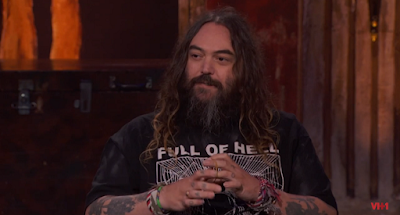 MetalRockNews: Soulfly's Max Cavalera: "We don't really count on CD sales anymore"
Soulfly's Max Cavalera: "We don't really count on CD sales anymore"
Soulfly's Max Cavalera was recently interviewed by From Hero To Zero, you can read some excerpts below. About diminishing record sales and the explosive growth in music streaming, he said: "I think it hurts everybody; it hurts all the bands, and we are not the only ones. You have to learn to live with it; there's nothing really you can do. For us, it's a matter of… We don't really count on CD sales anymore. The days of CD sales were, like, 'Soulfly' one, 'Primitive' and 'Roots', where they went gold in America and sold five hundred thousand copies; that doesn't happen anymore. Yeah, you know, it's sad that it doesn't happen anymore, but at the same time, there's good and bad about technology. I like the fact that you can discover new bands… I discovered a lot of bands, like NAILS and stuff like that, through the Internet. So I think there's good and bad. But I think sometimes the fans have gotta realize that when they are getting the free music… not necessarily they are really… Maybe at first it's good for them, but maybe in the end, they're kind of hurting the artists, and that's something that maybe they should think about a little bit. I don't know… If I like a band, I buy their CD because I wanna support them; I buy their t-shirt, because I like to see that band continue. So it's my way of helping. So maybe the fans should think more a little bit like that. But I see the other side too. You don't make much money and you can get the music for free, and why not? It's kind of like… It's out there. So, like I said, you cannot really fight that, so we just find different ways to survive, so we tour a lot. And I have three different projects: Soulfly, Cavalera Conspiracy and Killer Be Killed. I'm looking forward to a fourth; I think I might make more and more projects. [Laughs] So, yeah, it keeps you busy and it makes you survive." About if albums still matter in an age when fans are more focused on acquiring single tracks rather than full-length records: "I hope so, because it's fun to make a record. That's where the idea of the art comes in. When you [are making music], you envision a whole record; you don't envision a song — although you write the song separate. I can see maybe why people would like just to get a song instead of a whole record, but I like the whole vision of the whole package, like the whole record. I love listening to records from beginning to the end. The other day I just listened to Mastodon 'Crack The Skye'; it's fantastic. And Behemoth 'The Satanist'; amazing, amazing… It's so good altogether. It wouldn't be good one song only; if I only heard one song from that record. It's cool to hear the whole thing." About his plans for a home recording studio: "I have a studio that I'm building in my house in Phoenix [Arizona] to record young bands, so I'm gonna start producing a lot more bands myself. And it's a desert studio, so it's got a desert vibe. So if people want a desert-vibe kind of metal, come to the Max place. [Laughs] I'm looking for the name [for the studio]. I'll find one. We're trying to mix both [digital and analog technology], because we have a lot of old gear, and I think that's kind of cool. The cabinets that we [used to] record Sepultura's 'Chaos A.D.' and 'Roots' are all there. We're trying to get the board that we recorded 'Roots' on, we're trying to buy that right now; hopefully we can. I'm doing that with my soundman, [who] is on tour right now with Soulfly. His name is Mark. He's helping me. And he's gonna put a lot of the gear in. A lot of the other gear… I've got percussion from all over the world, so that's also another big thing. I think it's gonna be a cool place, and I think, for me, it's cool 'cause it's gonna keep me closer to the underground metal — the young metal being done right now by the new generation. New bands, they get to come there and record, and I think it's gonna be a real cool place with… A lot of good stuff's gonna be done there. But it [won't be ready before] probably next year."